In early 1983, Boeing received a development contract for the YCQM-121A Pave Tiger drone. The Pave Tiger program was begun to develop an expendable mini-drone to supress enemy air-defense systems. 14 YCQM-121A vehicles were built and flight-tested during 1983/84, but the Pave Tiger program was terminated in late 1984. 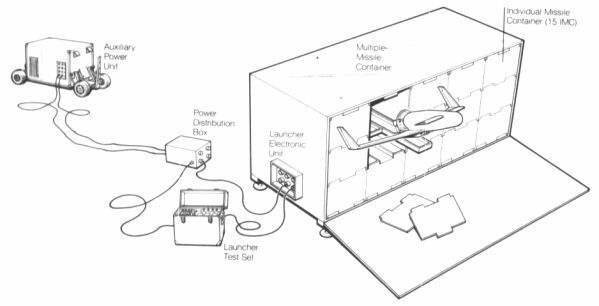 The YCQM-121A was a small drone powered by a two-stroke piston engine, and was stored and transported in launch containers with 15 individual missile cells. To lauch a drone, the doors of a cell were dropped, a rail with the air vehicle was extended, the wings were unfolded, and the drone was launched with the assist of a solid-propellant rocket booster. The YCQM-121A flew a preprogrammed mission using its microprocessor-based navigation system. It could carry sensors and ECM equipment to detect and harass air-defense units, and could also be equipped with a warhead to destroy a detected threat. In 1987, the Air Force was directed to evaluate an upgraded version of the YCQM-121A under the Seek Spinner program. The resulting YCGM-121B vehicle was specifically designed to seek and destroy enemy air-defense radars, and was considered as a low-cost alternative to the AGM-136 Tacit Rainbow then in development. The YCGM-121B was flight tested in the 1987/89 time frame, and had the ability to loiter over a designated target area until a radar emitter was detected. The Seek Spinner program was cancelled in 1989, but the AGM-136 Tacit Rainbow was later cancelled, too. In the late 1980s, Boeing marketed their BRAVE (Boeing Robotic Air Vehicle) 200 system, which was based on the Pave Tiger/Seek Spinner drones. However, the BRAVE 200 was apparently not procured by any military customer. Another variant of this drone family was evaluated by the USAF as CEM-138 Pave Cricket.